The catch-all assignation of world music remains way too small to encompass a sound this big. 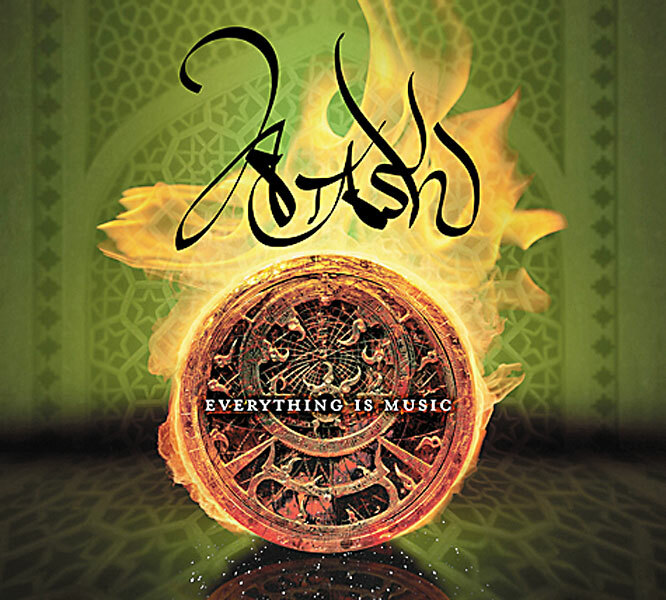 Borrowing its title from a poem by 13th century Persian poet Rumi, Atash’s third LP bears audible roots that span the continents. What makes the nine-person Austin ensemble’s ambitious musicality truly transformative is its dedication to a deepening soulfulness through virtuosity. From Hindustani classicism to Iranianbandari music, Spanish flamenco, and French gypsy jazz, Atash never allows its idealistic hybrid to become facile or platitudinous. The complex, fast-paced percussive interplay that starts “Mistereph” serves notice that you’re embarking on a journey, as a multitude of strings gives depth to the song’s addictive refrain, and commanding vocalist Mohammad Firoozi soars off the scales toward the heavens in his native Farsi. That whirling energy grows more intense with every pass until a sudden breakdown triggers a jaw-dropping sitar solo from Indrajit Banerjee. Calculated in the best sense of the word, it’s the stuff that raises lighters in a stadium rock setting. Tabla and hand claps drive “Baaraan (Rain),” a rich, hypnotic composition where violins yearn over droning sitar, and instrumentation aside, “Talangor (Flick! )” bears resemblance to Western pop in its verse/chorus construction before a cinematic climax for strings upends commonality. “Amshab” finds Christian Fernandez singing in French over a blues-infused, late-night vibe. Then Guinean balafon wizard Aboubacar Sylla dials “Sahara Spring” up to transcendent velocity. 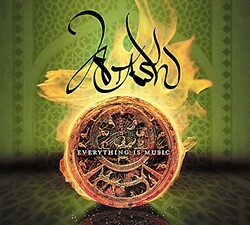 The vast array of Atash’s charms on Everything Is Music achieves full flower on this nine-minute hoedown, leaving only breathlessness in its wake.